If you and your partner have had a few screaming matches about raising your children, you’re in good company. According to a new study, a couple with children will argue about parenting related concerns an average of eight times per month. The study commissioned by Care.com found the average parent will argue with their other half almost 100 times per year. They also discovered the most common reasons why parents fight. And, surprisingly, money only comes into play halfway down the list. Join us as we count down the most common arguments parents have. And revel in the fact that you are not the only one frustrated by your partner’s parenting opinions. How and when it is appropriate to reward your child. Letting your child sleep in your bed. Immediately seeing to a crying baby vs leaving the infant to calm down before going in. How much to spend on the kids at Christmas or birthdays. Whether it is okay to let a baby cry or self-soothe. Whether one parent is shouting or being too strict. When one parent does not follow through on a threat or punishment. When one parents says yes to a child after the other parent has already said no. How to discipline your child. It’s not surprising that couples will have differing opinions when it comes to parenting. 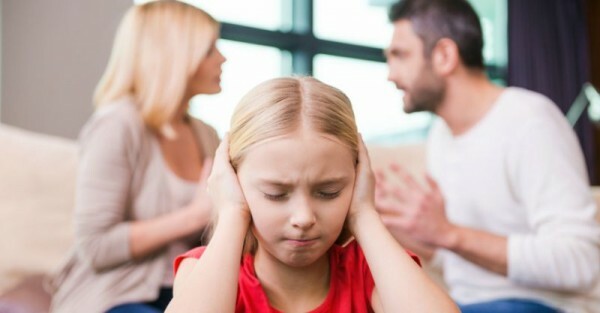 More than half of parents believe the reasons behind their disagreements stem from how they were raised, while 40 per cent said it was possibly because they find different things more important than others. How many of these arguments have you and your partner had this month? We’re 8 for 10 in our household!